MilitaryVALoan.com sat down with VA mortgage professional Mason Buckles (NMLS #176104) to talk about the ins and outs VA funding fees, loan limits, and allowable VA loan term lengths. MVL: What exactly is a VA funding fee and why does VA require it? Mason: The VA Funding Fee is paid directly to the Department of Veterans Affairs and is the vehicle by which they can guarantee this no-money-down loan program. This fee is paid so that VA eligible borrowers can enjoy loan benefits of VA Lending such as no monthly PMI payments and reduced VA to VA refinance charges. MVL: Do borrowers have to pay the funding fee in cash? Interview with Mason Buckles about the 2018 VA home loan funding fee. Mason: No. Borrowers have the option of either paying the funding fee in full out of pocket or financing the total sum into their total loan amount or any portion thereof. Request a free VA home loan quote here. 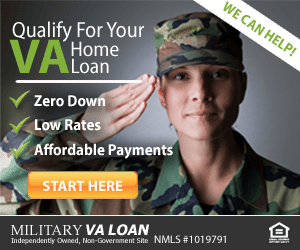 MVL: Can a seller help pay for the VA funding fee? Mason: A seller can pay the entire funding fee through a seller concession or credit however the cost cannot be split via seller credit and financing. 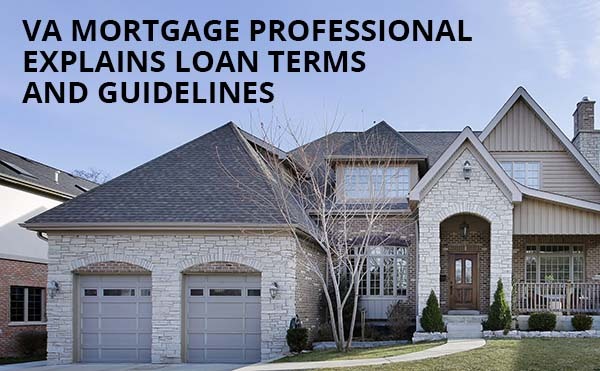 There are limits on the total percentage amount a seller can contribute or credit the borrower at closing. Related article: Buying a home with a VA loan. MVL: What are some of the most common factors for funding fees and what types of borrowers do they apply to? Mason: Here are a couple charts that detail the various funding fee amounts. The percentage relates to the loan amount, not the home’s value or purchase price. Check your VA home loan eligibility here. MVL: Is anyone exempt from the VA funding fee? MVL: What’s the best way for someone to find out what funding fee they have to pay? 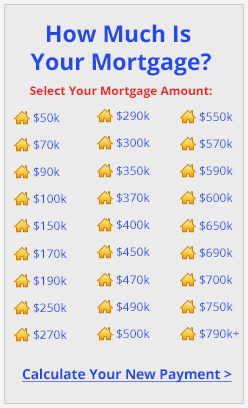 Mason: The best way to find out your specific amount is to contact an experienced loan originator for details. Speak to a VA loan officer to check you funding fee amount. MVL: What happens to the funding fee on a purchase loan for someone who has used their VA loan benefit in the past? Mason: It is increased to the Additional Use Percentages as referenced in the table provided above. MVL: Does the subsequent use rule apply for someone who refinances with a VA streamline refinance (IRRRL)? Mason: No, the funding fee for an IRRRL Refinance loan is currently set at .50 percent. MVL: Is the funding fee refundable if the buyer refinances or sells the property later on? Mason: No. The funding fee is non-refundable. MVL: Are there any VA funding fee changes coming in 2018? Mason: Circular 26-16-21, the current funding fees established 11/18/2011 are valid through 9/30/2024. MVL: What is a VA loan limit? Can a buyer open a VA loan for greater than the VA loan limit? Mason: The 2018 VA loan limits vary by geographic area. Loan limits for 2018 have been increased in some areas. The “standard” limits, available in all areas of the country, remains at $484,350. Loan limits up to $726,525 are available in high-cost areas of the U.S. Yes, they can exceed the loan limits by paying 25% of the amount exceeding the loan limit or entitlement amount. Read more about home buying with a VA loan here. MVL: How often do VA loan limits change? Are there any changes coming up? Mason: The VA loan limits are typically reviewed annually. The most recent changes went into effect January 1, 2018. MVL: Most people realize they can get a 30 year VA loan, but can someone obtain a loan for a 15 year term? What about a 40 year VA loan? Mason: VA does offer a 15 year term, however, a 40 year term is not offered at this time. MVL: Any additional words of wisdom for someone trying to understand funding fees, loan limits, or loan term lengths? Mason: The best advice is to identify and work with an experienced VA lender. VA loans, while simple in execution, do require a higher level of scrutiny by both your loan originator and the lender’s underwriter themselves. An experienced loan originator should be able to thoroughly explain all facets of VA Lending including the funding fees, underwriting and appraisal requirements, and non-allowable loan costs as well as efficiently close your loan in a timely fashion. 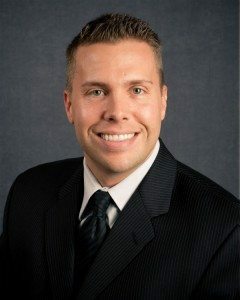 Mason Buckles (WA MLO 176104 and NMLS #176104) is a licensed loan originator with Cobalt Mortgage (WA CL 35653, NMLS 35653) in Kirkland, WA. He has been in the mortgage industry since 2001 and a recipient of Seattle Magazine’s Five Star Mortgage Professional award. Outside of the office, Mason enjoys coaching his son’s basketball team, boating, and traveling.